The truck driver's record of duty or logbook showing his or her "hours of service" can be very useful after a truck accident. Your Kansas City truck accident lawyer will use the information contained in it to determine if there was driver error and liability in your case. The logbook will indicate if the driver violated the Department of Transportation (DOT) regulations or failed to adhere to the guidelines of the Federal Motor Carrier Safety Administration (FMCSA) relating to the maximum hours a truck may be driven. For this reason, the logbook can greatly influence the outcome of a personal injury lawsuit in many truck accident cases. In the U.S, the federal government establishes these regulations to control the operations of trucking companies because truckers cross state lines. FMCSA regulates and monitors activities in the trucking industry to ensure that truckers follow proper procedures to increase safety on our roads. Other items truckers are required to record. What Records are in a Logbook? Regardless of the different kinds of logbooks available, they all must record the same information required by law. During a Work Period: Drivers are must record every single minute spent working. This may include activities like driving, loading or unloading the truck, and other work-related duties. Drivers are not permitted to drive for over 10 hours at a stretch. 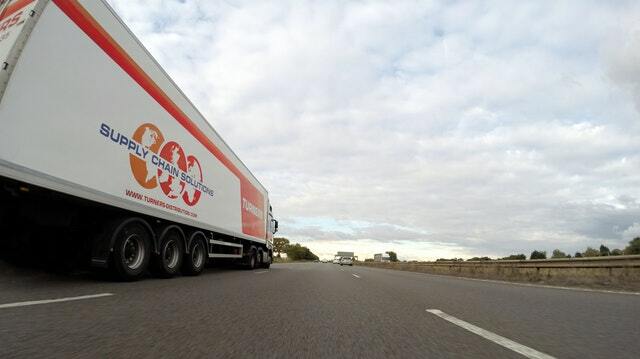 During a Rest Period: Many truck drivers drive long distance which may lead to fatigue. This makes it important to have an 8-10 hour break every 24 hours to reduce stress which can cause accidents. During the resting period, they are free to anything outside work like sleep, eat, shower, or relax. Drivers can choose to stop at rest areas or truck stops and spend the night if needed, so long as they record their activity each hour during the break period. During Sleeper Time: A sleeper is a small compartment in a truck used for resting or sleeping. A provision of the FMCSA regulation requires every truck to have a sleeper and all drivers to spend some time in this area each day, and they must record the total amount. What if the Logbook is Incomplete, Incorrect or Forged? If a logbook is incorrect or the information in it has been tampered with, this can help establish liability in a lawsuit. False and inaccurate records can be evidence of negligence in a truck crash. Drivers who are found to have forged logbooks could also face fines and penalties. An experienced Kansas City truck accident lawyer will understand the importance of the logbook in a truck accident case and why details required by law must be entered correctly and completely. Fortunately, new technologies in the trucking industry has helped to reduce the potential of fraudulent records. However, some drivers may still decide to alter the hours recorded so they can work more or avoid the needed rest time in order to expedite deliveries of a load. For this reason, it’s critical that your attorney understand how to evaluate the accuracy and completeness of the logbook in a truck accident case. Truck accidents are complicated legal matters that are much different than an accident between passenger cars. To ensure your rights are protected, you should consult with an experienced Kansas City truck accident lawyer. Our Kansas City truck accident lawyer can carefully examine the logbook and hours of service records and other evidence in your case to determine how the accident happened and ensure that you receive any compensation you deserve. Call us today at (816) 203-0143, or use the form below for a free, no obligation consultation.